After a long break from travel to focus on getting healthy, we finally got back out there 'Wheeler Style' to visit Italy. Originally, the trip was planned for 3 weeks, but we were having so much fun, we decided to extend it and sneak in an extra week in Malta. So glad we did. 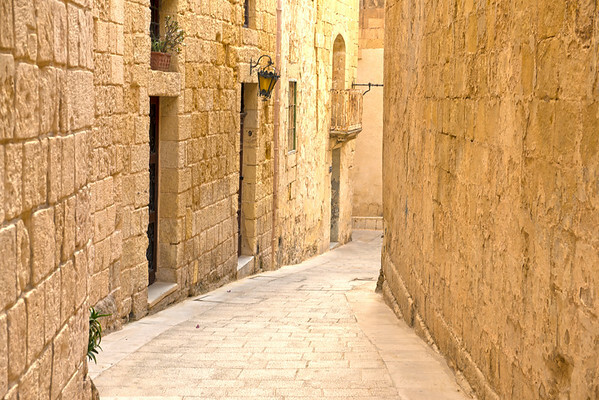 Both Italy and Malta have so much to offer...the scenery, history, people and food were incredible. Hoping this is the start of many more adventures to come! And maybe even a return to these two remarkable countries down the road. 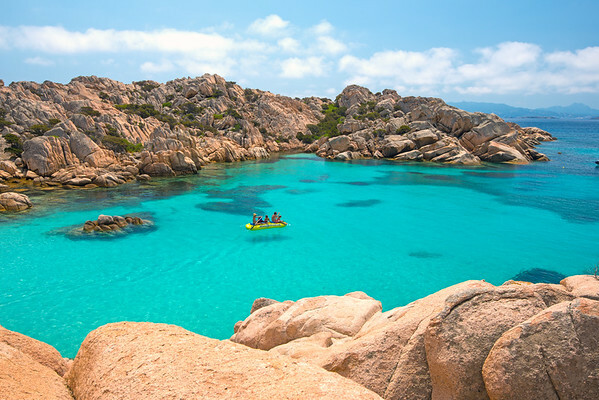 The island of Sardinia is full of beautiful beaches, but I have to think that Cala Coticcio on the island of Caprera is one of the best. The water, and surrounding rocky scenery is stunning...with views back towards the Sardinian mountains that reminds me more of Tahiti than Italy! We had to work hard to get to this beach via an hour long hike in the beating sun....throw in a very steep section near the end of the hike and this one was way more adventurous than I expected...but boy was it worth it. Oneea and the boys were setting up our beach towels while I climbed up the rocks to look over to the other side to find this family just cruising around the surrounding coves. 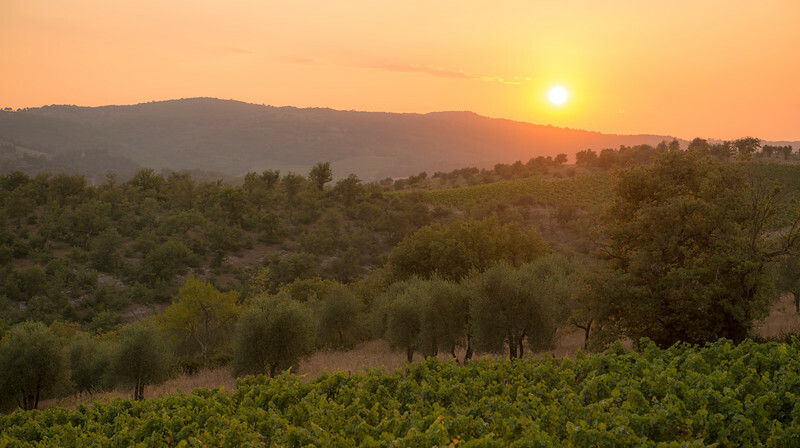 This was our first night in Tuscany. We had just sat down for dinner in the incredibly quaint little town of San Sano, when I started to see some amazing light through the trees. I felt guilty, but had to do it...excusing myself from the family for a 15 minute hike along the road to capture the last moments of sun. 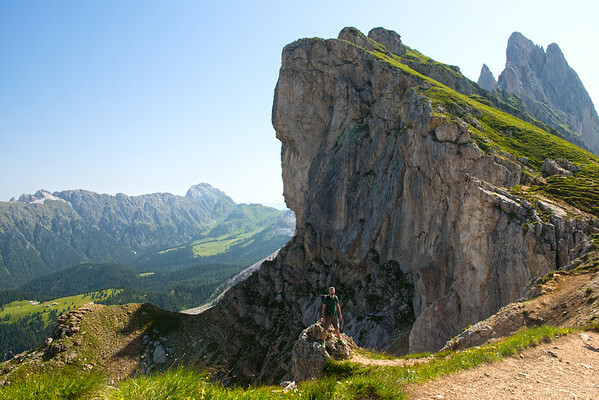 The access to the alpine is incredible in the Dolomites. 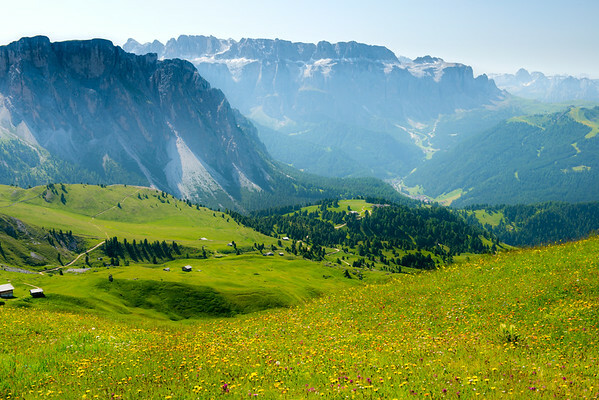 A short walk from our hotel in Ortisei led us to the Seceda gondola which very quickly took us all the way up. The views are incredible, and the hiking very enjoyable. Very little effort to experience incredible mountain scenery...sprinkle in huts every 30 minutes that are essentially full service, charming, family owned restaurants that serve cold beer and wine, and you've got yourself an absolute winner! We will no doubt be back to this area. After a long plane ride to start off our trip, our flight landed at Marco Polo airport in Venice. From the airport, we had to hop on a shuttle boat for an hour long trip to Venice. We were tired, but the minute we arrived in Venice, we realized what a unique and interesting place we had just set foot on. 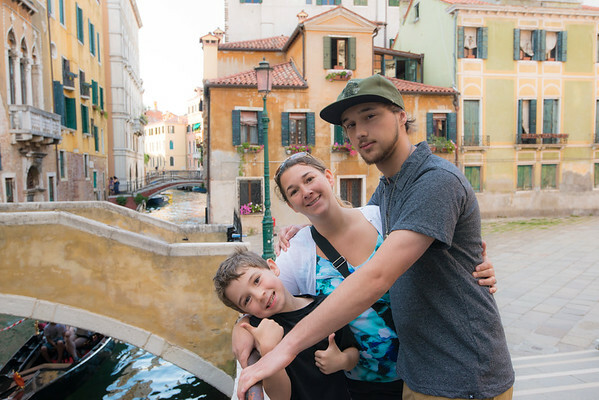 Our trip to Italy was finally a reality, even though it felt like more a dream walking through the streets of Venice. 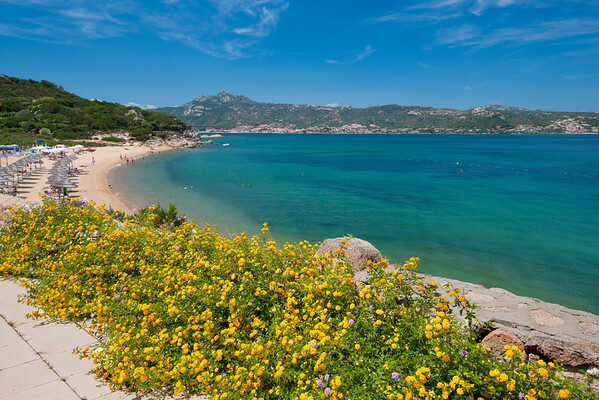 On the Northern tip of Sardinia lies a beautiful island chain named the Maddalena Islands. 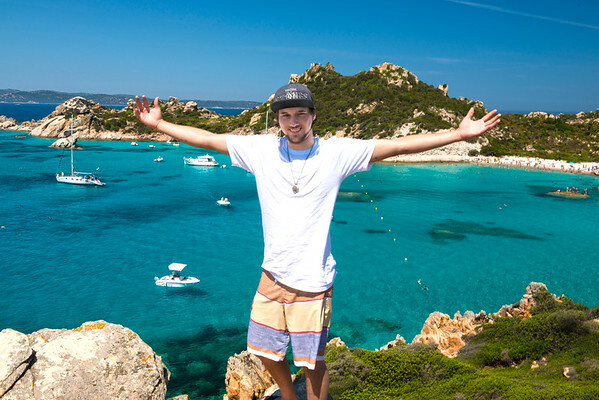 Many of the islands can only be reached via boat, so on our 2nd day in Sardinia, we found a boat tour that would take us to the islands of Spargi and Santa Maria. Our first stop was Spargi. After getting off the boat, Niko and I hiked up the hillside to get a birds eye view of the beach (see all those little specks down there). After our hike, we met up with Oneea and Alex for an hour of swimming in the cool Mediterranean waters, before heading back to the boat to continue on. 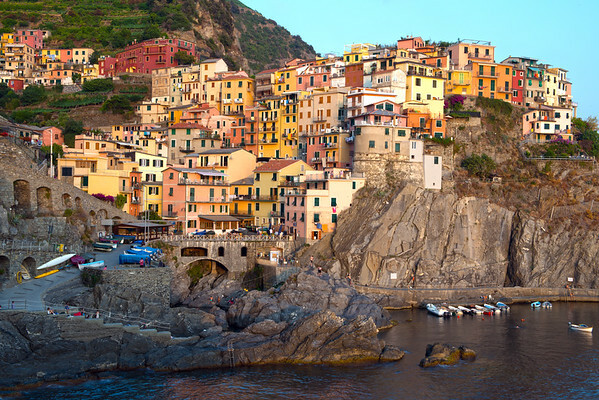 Cinque Terre is a beautiful set of 5 villages set along the rugged Italian Riviera. The coastline, the five villages, and the surrounding hillsides are all part of the Cinque Terre National Park and is a UNESCO World Heritage Site. While it certainly possesses incredible beauty, Cinque Terre was our least favorite spot on our trip. Maybe we were spoiled by our 3 previous spots (Venice, Sardinia, and the Dolomites)....or maybe we just didn't stay in the right place. The place was no doubt crowded, and quite dirty, but we sort of expected that coming during the peak season. Whatever the reason, we're happy we saw it, and were even happier to be moving on to our next destination (Tuscany). We decided we were going to extend our trip, but weren't exactly sure where to go. After spending 3 weeks in Italy, I was interested in seeing a new place. A quick google search led me to two places: Croatia and Malta. After lots of debate and research, I decided on Malta for two main reasons. One, there was this place called the Blue Lagoon. Two, being on a small island meant less driving/travel time. With that, I booked tickets and we were off. 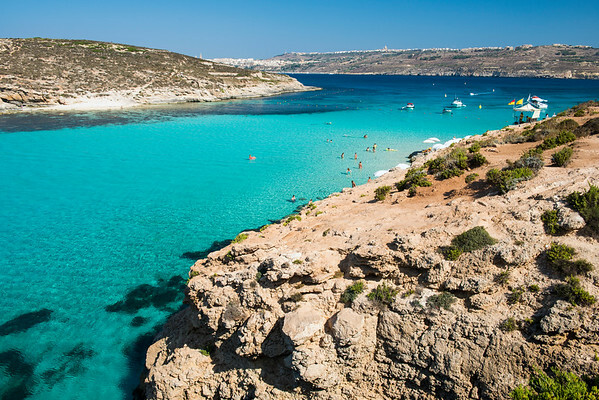 A couple days later, we made our way to the Blue Lagoon, an extraordinary place of beauty found on the island of Comino. We were on the first ferry boat over (an absolute must), and found ourselves a wonderful set of 4 beach chairs to enjoy our surroundings. Lots of swimming, exploring, and even a cold beverage or two. 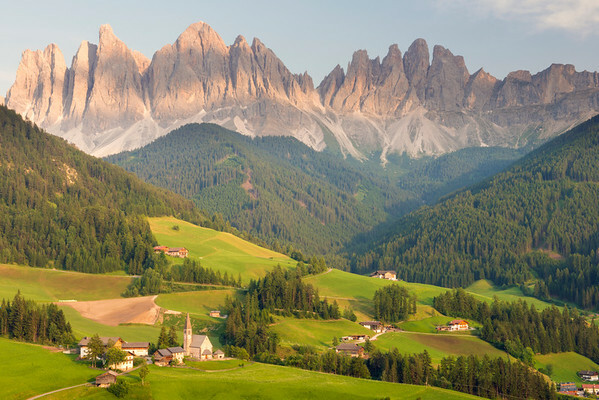 The alpine scenery here is second to none. 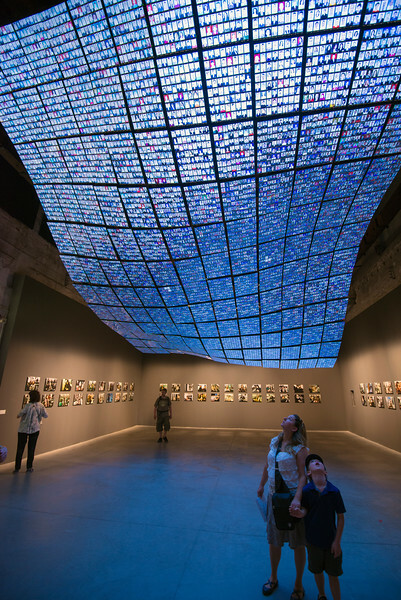 During one of our days in Venice, we took the advice of a couple we met at Breakfast to visit one of the art exhibits on display near our hotel. This years exhibit is called "The world before us today." Much of the art deals with either current or past crises of the world. Pretty heavy stuff, and a few exhibits that we had to skip altogether given Alex was with us. A very unique and interesting day that kept us out of the heat! 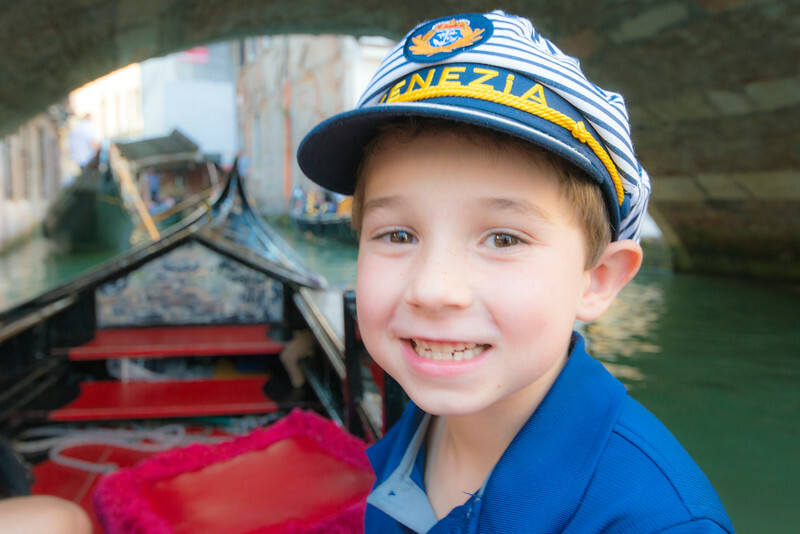 A close-up of our happy little guy cruising the canals of Venice during our Gondola ride. On our first day in Sardinia, we decided to stay close to the hotel and unwind with some cold beverages on La Rocca beach. This photo was taken from their restaurant above the beach. Had some fantastic bread, pasta and white wine after a good morning of swimming and hiking. 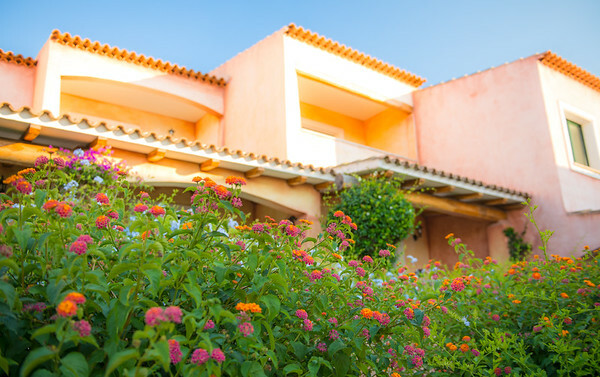 We stayed in Sardinia for 6 nights at the Hotel La Rocca. The grounds of the hotel were beautiful, with flowers everywhere, and the hotel architecture that reminded me of of Taos and Santa Fe New Mexico. We loved our time here, which followed a fairly straightforward schedule: eat an amazing breakfast at the hotel, head out to a different beach each day, come back and jump in the pool for a cool off, get ready for dinner, and then have an amazing 4 course dinner consisting of local Sardinian dishes with a bottle of local Sardinian white wine. We could've stayed here much, much longer.